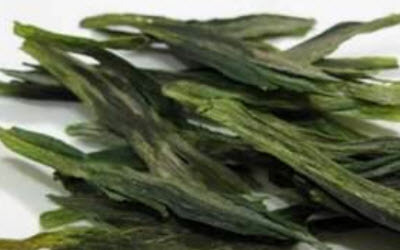 ← What Is True Chinese Red Tea? 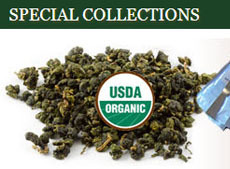 The great difference maker between types of teas is how the leaves are processed. (Other factors are terroir, harvest conditions, and cultivar.) Hou Kui tea (also known as Monkey King tea), like many others, has a very specific set of steps used to process the leaves. This processing pulls out the special characteristics in this tea — a delicate orchid fragrance with a mellow taste lasting through four infusions. The leaves are a delight to watch as they steep, since they dance and sway in the water. This is one of those rare teas, though, that is hard to find even in China. 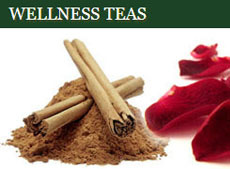 So how does the tea processor achieve these distinctive results? Those leaves come from a unique tea cultivar — Shi-da Cultivar (柿大品种 Shi-da Pin-zhong). They grow in tea gardens in the mountainous area around three villages —Houkeng (猴坑 Monkey Pit), Hougang (猴岗 Monkey Hillock), and Yanjiacun (颜家 Yan Family Village). They are in Xinming Township (新明乡 Xin-ming Xiang) in Anhui Province. The soil is rich in minerals and fertile due to the primitive forests and effloresced rock. The harvesting is only done during 14 days of the year between the Grain Rain and the beginning of Summer. The harvested tea leaves are meticulously examined, choosing those single bud and three leaves combos on a twig and only those that are robust and well grown. The third leaf is usually removed during processing, and the remaining two leaves are as long as the bud, about six cm. Each kilo of this tea is made up of 20,000 buds. This step in the processing uses heat to inactivate oxidative enzymes such as polyphenol oxidase (PPO). The leaves are fried for a short time in a metal pan in temperatures that reach 120-130° C. A deep flat bottom base pan (深底平锅 Shen-di Ping-guo) is used instead of the more usual sharp bottom base pan (尖底锅 Jian-di Guo). The pan must be clean and shiny before use. Heat the pan and add in 75-100 grams of leaves. Fry them for three to four minutes, then curve your fingers and gingerly but carefully lift up handfuls of leaves and then shake them out back into the pan. Repeat this about 30 times per minute for the next three or four minutes. The leaves will begin turning dark green and dull with a slightly crispy edge. They will begin to emit a pleasant fragrance. The frying is done. The leaves go onto a bamboo plate, ready for the next step. Here is where you achieve the distinctive shape of the finished leaves, but also quickly remove moisture from them, halt remnant enzyme activity, and preserve the green color. This step takes about 12 minutes total. Four open ovens are needed, heated to 110° C, 100° C, 85° C, and 60° C. Place the bamboo plate with the leaves on it on top of the first oven. Disperse the leaves by lightly knocking the edge of the plate. Heat 2 to 3 minutes. Transfer to the second oven for 2 to 3 minutes. Lightly press the warm, soft leaves using both palms to shape the leaves. Transfer to the third oven and repeat the hand shaping. The moisture content will be down from 70% at the end of the pan frying to 15% now. No more pressing at this stage since it will damage the now-hardened leaves. Transfer the leaves to another bamboo plate and let them cool for about an hour. This will redistribute moisture from the stem to the leaf surface so that they can undergo the next heating. Combine the leaves from 4 to 5 bamboo plates from the previous step and spread them out evenly, pressing them lightly with your palm. Heat one of the open ovens to 80° C and place the bamboo plate on it. Turn the leaves every 5 to 6 minutes for the next 25 to 30 minutes. Set the bamboo plate aside for the leaves to cool for the next 5 to 6 hours. They should be at a moisture level of about 10% by now. Place the leaves in the heating basket and put over the open oven that is heated to 60° C. Turn the leaves every 5 minutes for the next half hour. 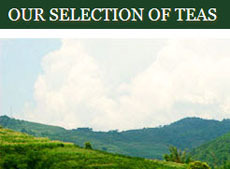 The tea leaves will begin to smell fragrant and the moisture content will be 5 to 6%. Set the basket aside to cool for 30 to 60 minutes. The leaves are now ready to be packed and shipped to tea lovers who are fortunate enough to be able to buy some. 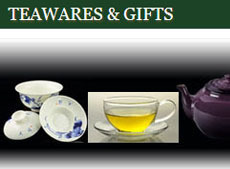 This entry was posted in Green Teas, Tea Info for Newbies and Up and tagged chinese tea, hou kui tea, JAS-eTea. Bookmark the permalink.